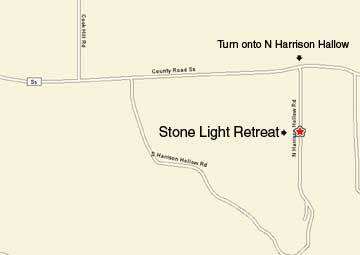 Stone Light is located one hour from the La Crosse, Wisconsin airport and two hours from the Madison, Wisconsin airport. Check-in is after 3 p.m. and Check-out by 11 a.m. unless pre-appoved. Smoking is not allowed in the cabins. Children and pets are on a pre-approved basis. By making reservations you are agreeing to our policies. A deposit of 50% is required to secure your reservation. Deposit is refundable if cancellation notice is given prior to one week of the reservation date. Deposits are not refundable if there is not a full seven day notice unless we can rebook. There are no refunds for early departure.  Rates are for single occupancy - each additional person is $20 per day plus taxes. 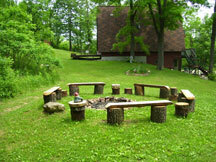  The Camping rate is $100 per night for up to six campers. 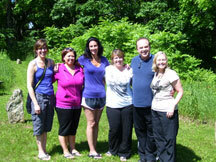 Stone Light offers complimentary stays or discounts for those unable to pay the rates. These stays are based on cabin availability. 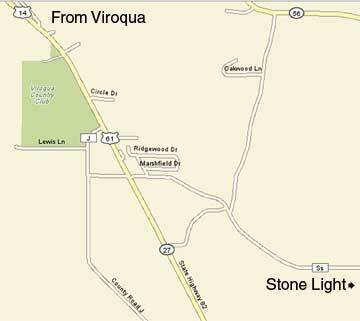 From Viroqua, go south on Highway 14 for about one half mile and turn left on County Road SS.